With hectic lifestyles and as beauty lovers we find ourselves with less and less time to spare on getting ready in the morning, but we still have the same beauty needs and desires. For me it's to have skin that radiates health and more sleep. Now, try as I might, it's only really make up or more drastic options that can fulfil this and that all takes time. And pain. I, for one, am a wimp so instead I have been putting the new Instant Effects* range through it's paces to see if it offered the quick fix I'm all but lusting over. 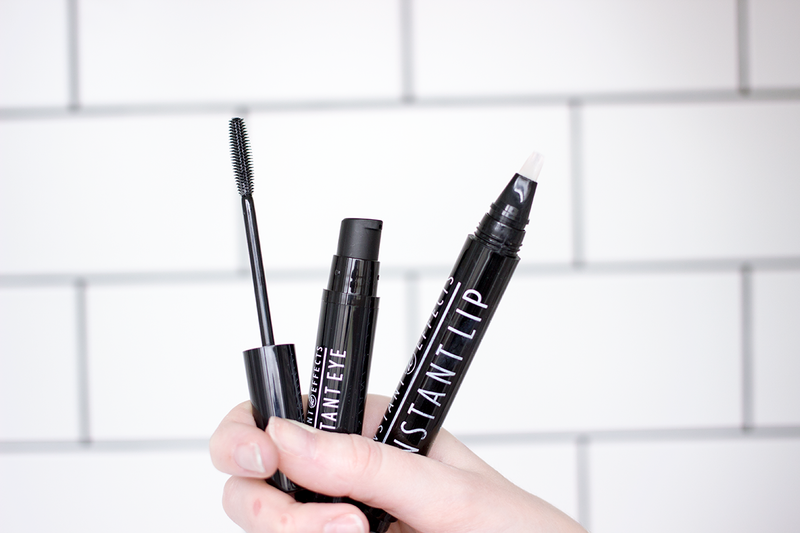 Instant Effects is a trio of target beauty solutions, aimed at targeting three specific areas of the face and enhancing them in as little as two minutes. Not only does the range offer extra time in bed of a morning, but with continued use it aims to yield even greater results. As you can see from the before photo below on the left, compared to the after photo on the right, the results from the Instant Effects range are quite subtle, but they're certainly evident. Instant Lip Plumper I found to be a lovely light gel which hydrated my lips long after application, and close up you can definitely see a difference. As mentioned, it doesn't have that tingly sensation a lot of similar products seem to have. I've been really enjoying using this as it does enhance my lips and keeps them comfortable - exactly what I need now they are so dry! For me, Instant Lash had the least amount of impact. 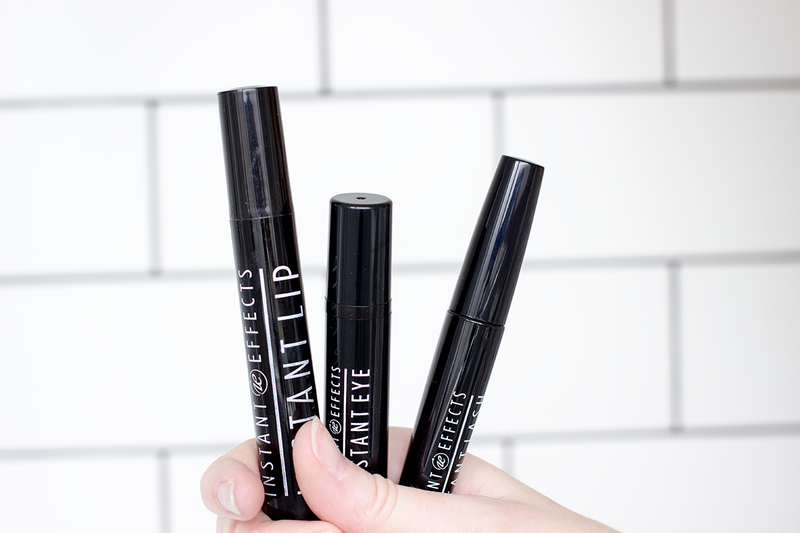 I do have naturally quite long and defined lashes, which is probably the one thing that I'm thankful for! On me this looked like a clear mascara, but its definitely visible, so I think on those that have short, straight lashes this could be an absolute winner. The pick of the bunch in my eyes (pun fully intended), is Instant Eye Lift. This is an area that I really suffer with. I have genetically puffy eyes (thanks folks), and fine lines. Instant Eye Lift is essentially a serum so it provides a heavy dose of hydration and has definitely brought down my puffiness. It works by stimulating collagen production and encouraging cell regeneration. I've not been using this long but it's tucked away in my make-up back for afternoon touch-ups. I think the Instant Effects range is well worth a try if you're after a quick yet subtle fix. I'm going to keep using these to see what further results the range brings so will keep you guys posted. Do you think you'll be giving this a go? The post Instant Effects - 'Cos we haven't got all day appeared first on Lelore.